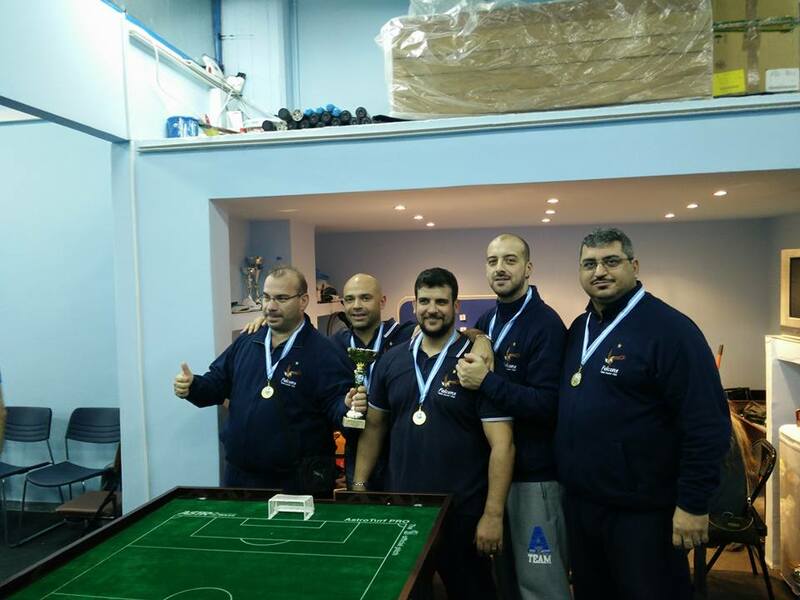 During the week-end of November 14 and 15, the Greek Grand Prix was played in Athens. Spyros Hantzaras defeated Lazaros Papakonstantinou in the Open final. Nikos Pappas and the very surprising Georgios Genitsaropoulos were the losing semi-finalists. Panagiotis Haratsis beat Dimitris Stamatopoulos in the veterans final while Giorgos Vlassopoulos beat Iason Dimopoulos in the U15 category. In the team events, the Falcons Athens beay Atlas TFC in the final. Olympia and Proteas were the semi-finalists. This entry was posted in FISTF News and tagged Germany, Grand Prix, Greece, Results. Bookmark the permalink.